This Black Friday we are launching the biggest sale we’ve ever done. Below you’ll find all the deals you can expect, how they work, and a strategic approach to getting the maximum value on each. WARNING: these deals are valid while supplies last. When inventory sells out the deals are over. 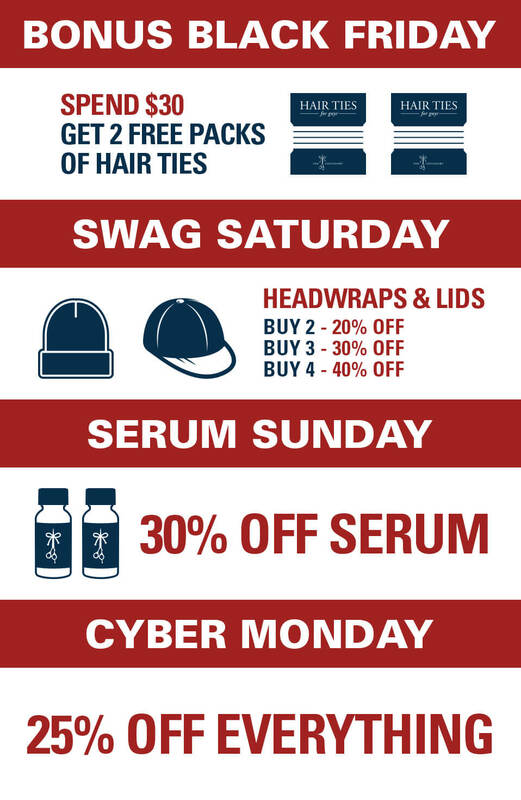 Shop early to ensure you get the products you want. Here’s a quick overview of all the deals, with further explanation below. We are giving away a FREE pack of Hair Ties For Guys with EVERY order placed until Monday night. No minimum spend, no requirements, just a free pack with every order. Get an additional free pack of hair ties when you spend $30. That’s in addition to the free pack we’re doing on every order, for a total of two free packs. Add $30 worth of products to your cart. When you click checkout you’ll see a window where you can select your two free packs. If you place an order for less than $30, you’ll still get one free pack. You can reach a $30 cart total with any combination of products, but this is your chance to get the most bang for your buck on hair ties. Taking that approach, choose three packs of hair ties and add them to your cart, bringing your total to $30. Proceed to checkout and select your two free packs, netting you a total of five packs for $30. That’s only $6 per pack—50% OFF the regular price. Insider tip: if you wanted to go full max, in theory you could place multiple $30 orders and redeem two free packs on every order (don’t tell anyone we told you that). The best deal on Hair Ties For Guys we’ve ever offered. Ends Friday night at 11:59 PM Pacific Time. Buy More, Save More on any combination of hard lids, soft lids & headwraps. Add any combination of hard lids, soft lids & headwraps to your cart. When you reach checkout, your discount will automatically be applied. PLUS a free pack of hair ties. Best deal on lids in history. Rep the bound shears and protect your locks with a thick dose of hard swag. Ends Saturday night at 11:59 PM Pacific Time. Buy More, Save More on any combination of scented or unscented hair serum in 1oz or 2oz bottles. Add any combination of hair serum to your cart. When you reach checkout, your discount will automatically be applied. Best deal on serum in history. Great gift for anyone medium length hair and longer. Ends Sunday night at 11:59 PM Pacific Time. Pretty simple. The entire store will be 25% off. This is your chance to buy apparel and anything else you’ve missed. The more you buy the more you save on whatever is remaining in inventory. And you STILL get a FREE pack of hair ties with every order. Best deal on apparel in history. Last chance for all your holiday shopping. Ends Monday night at 11:59 PM Pacific Time. Deals are optimized for maximum stoke! Work the angles this weekend, take advantage of all the deals and you can really rake it in. You know when you shop with us, your money is going to a good place with $1 for every sale going to Children With Hair Loss. And the rest will hopefully pay for our next round of new products! With all the excitement, let’s not forget the big picture and The Great Cut. 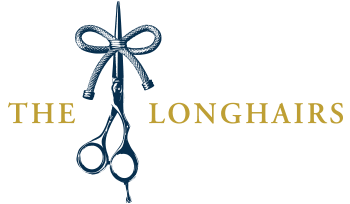 On Tuesday, November 27, we are launching into the public phase of our campaign for The Great Cut to raise $200K for Children With Hair Loss. I’ve seen you guys advertised on Instagram and was stoked, some hair ties that weren’t girly or just plain and boring. But I’m in Australia and it appears that you guys don’t ship down to these parts, or are you guys part of the flat earth gang that think Australia is a hoax? Check it out if you haven’t heard of that one, it’s worth a laugh. But anyway, is there a chance that you guys will open up your shipping internationally any time soon? Yo Shane! We do ship to Australia. Sooo sick! Defiantly down for this! got my eyes on the soft lids. hard lids and new ties! Also, if I purchase my great cut tickets this weekend will it count toward the free ties? 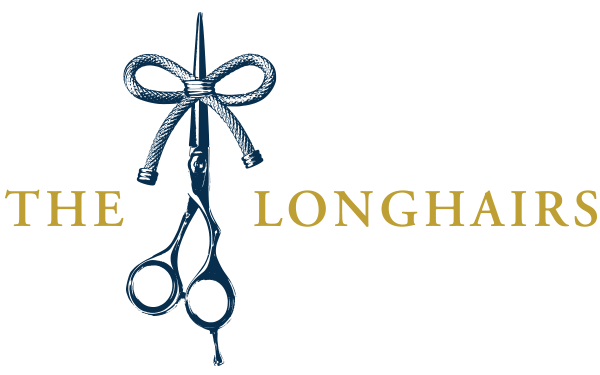 The Great Cut registration is specific to https://thegreatcut.us and is separate from the shop and anything sold at thelonghairs.us over this weekend.